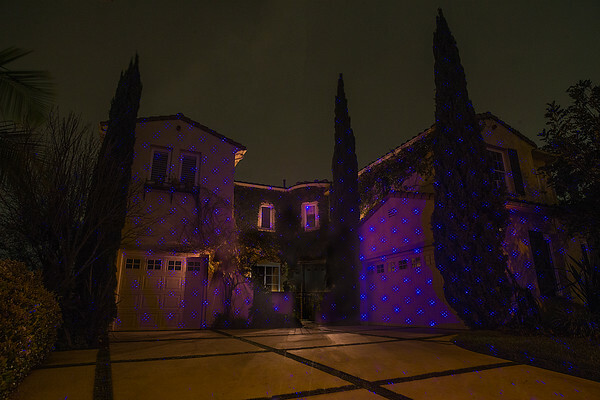 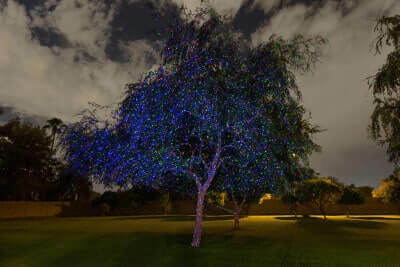 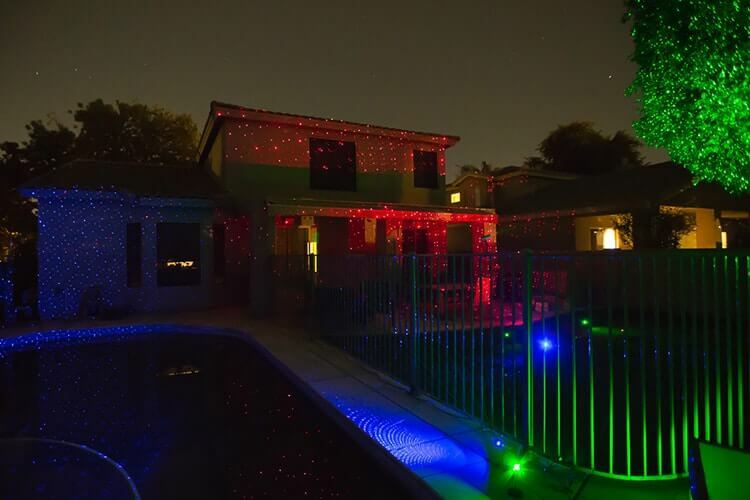 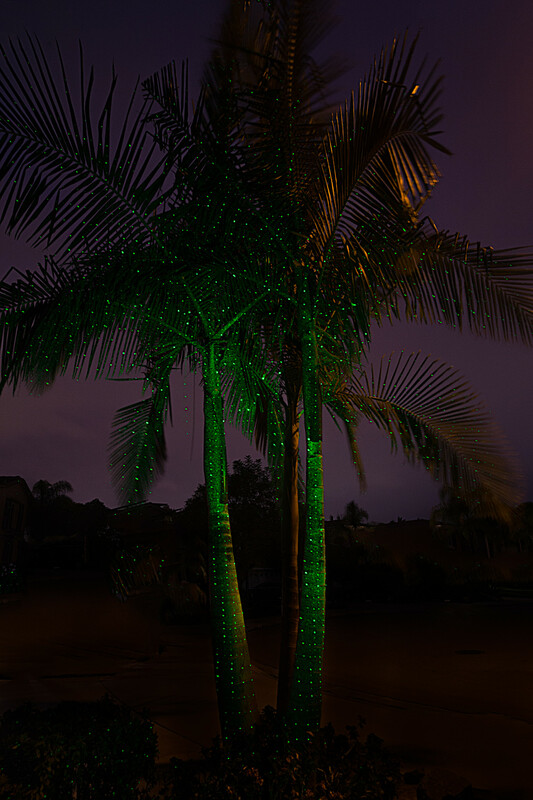 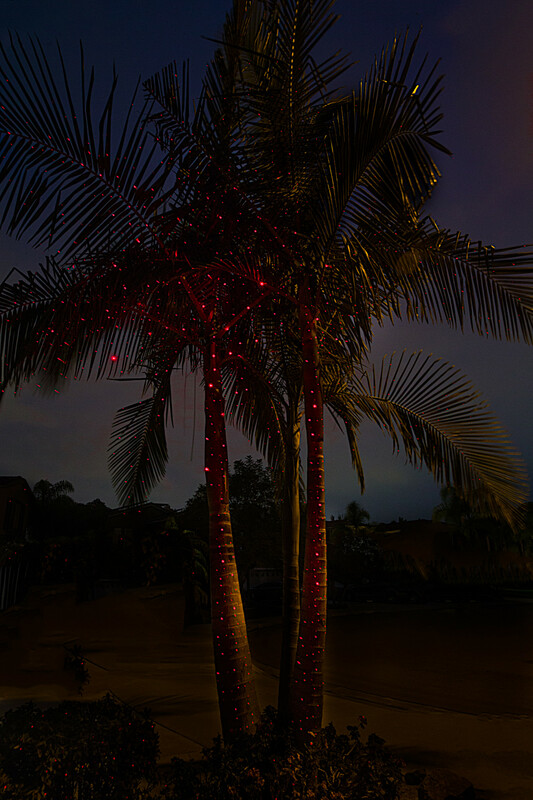 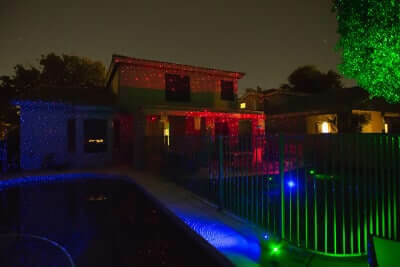 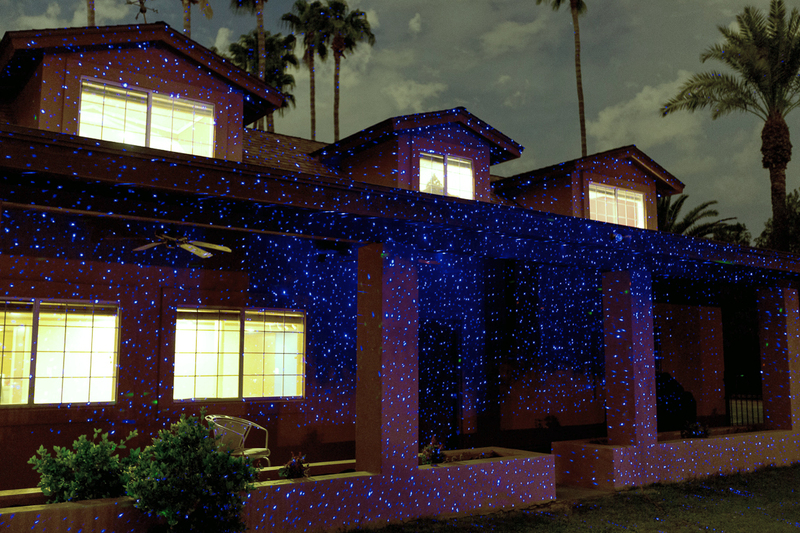 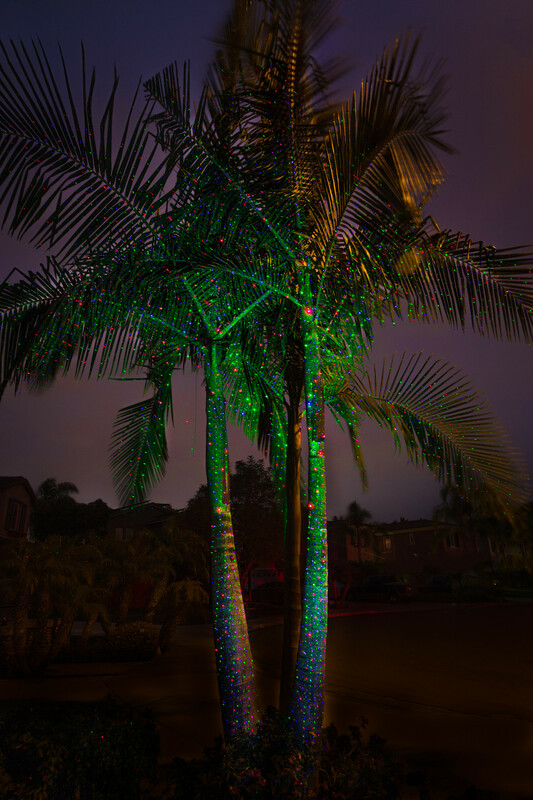 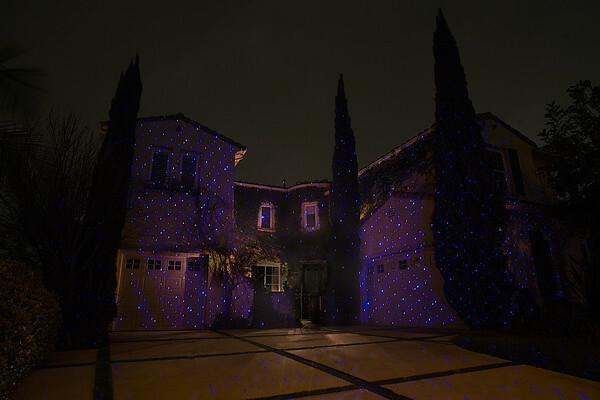 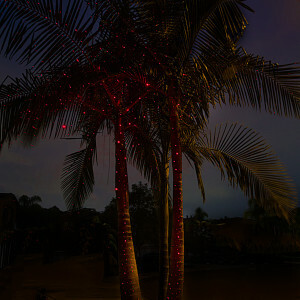 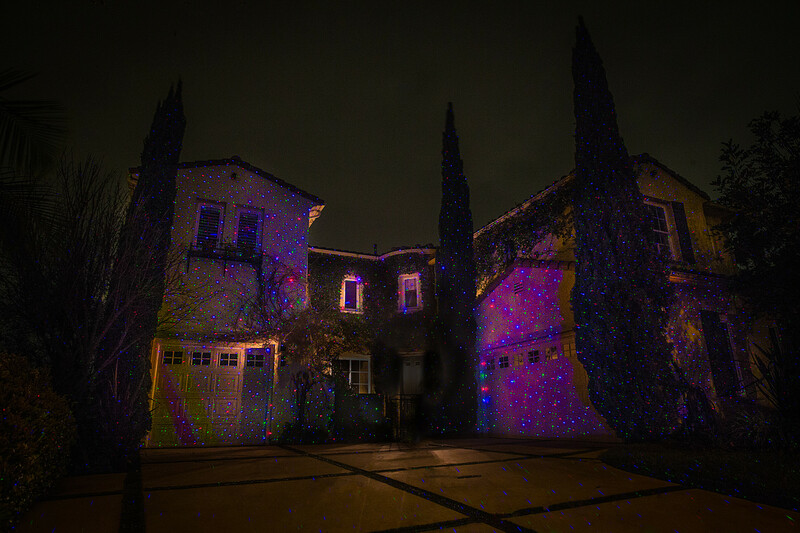 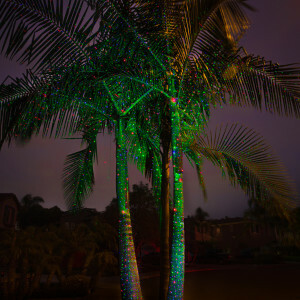 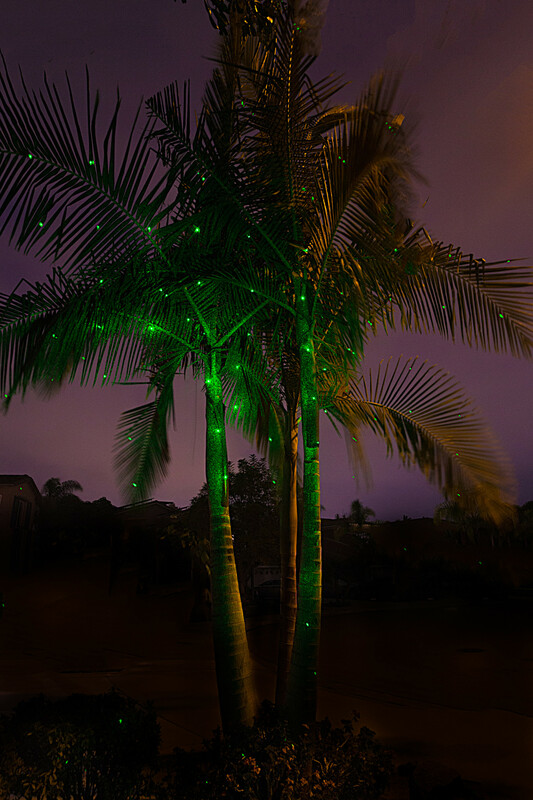 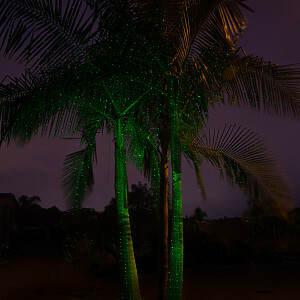 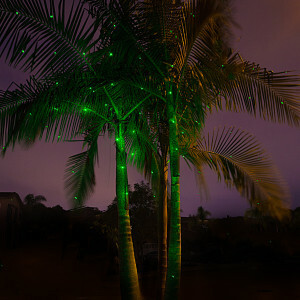 Green, Blue and Red Lasers illuminate home and yard. 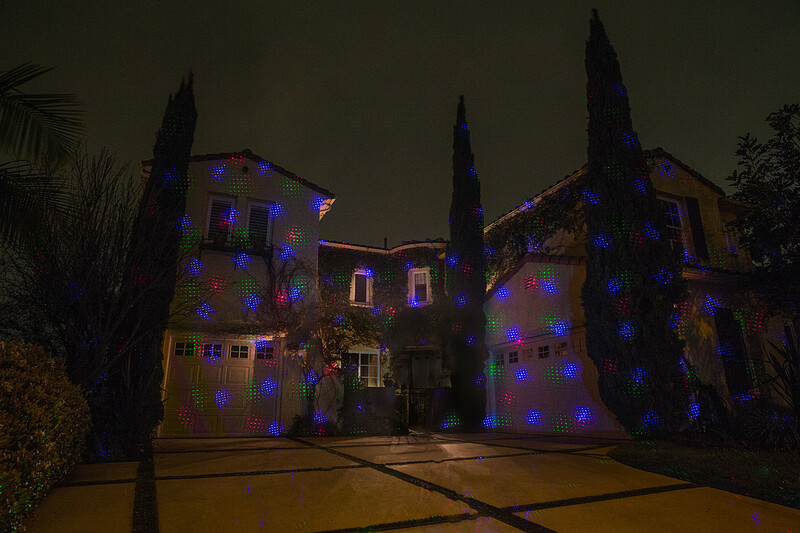 Mix colors with green, red and blue lasers. 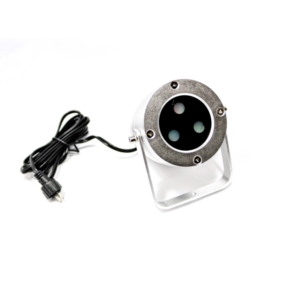 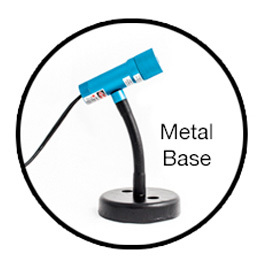 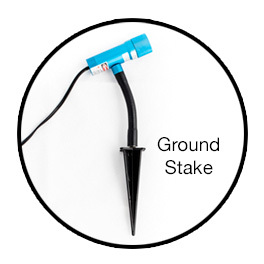 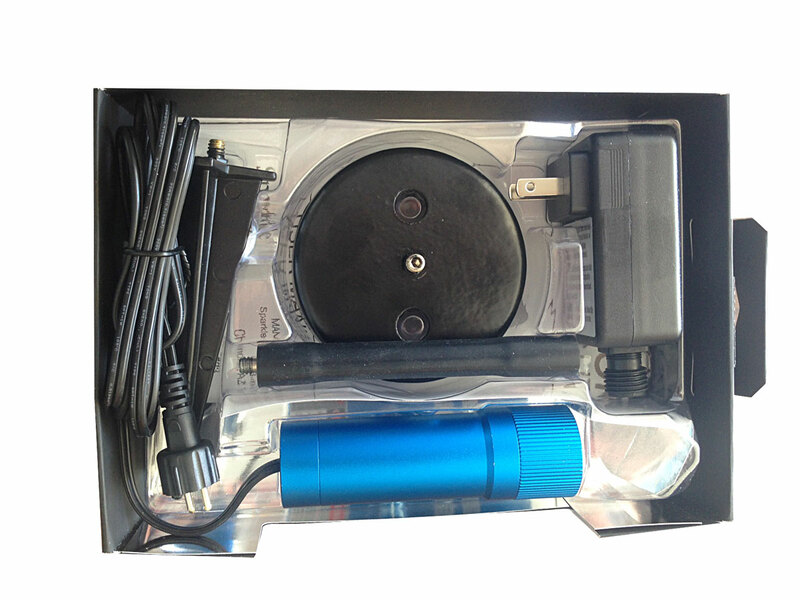 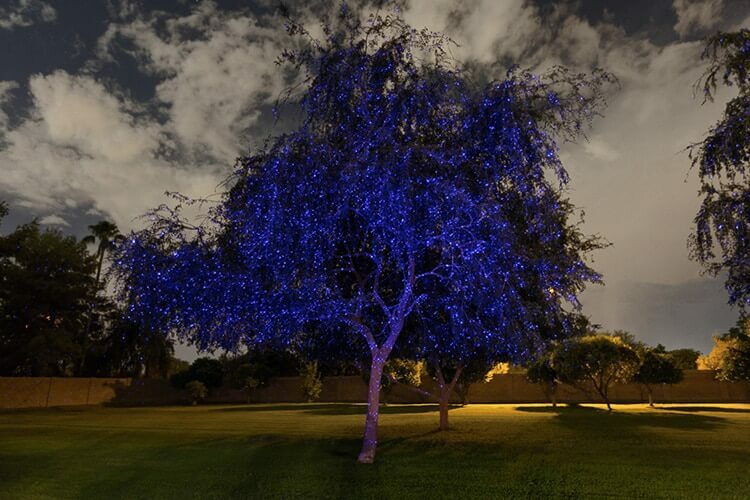 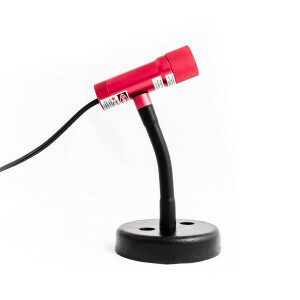 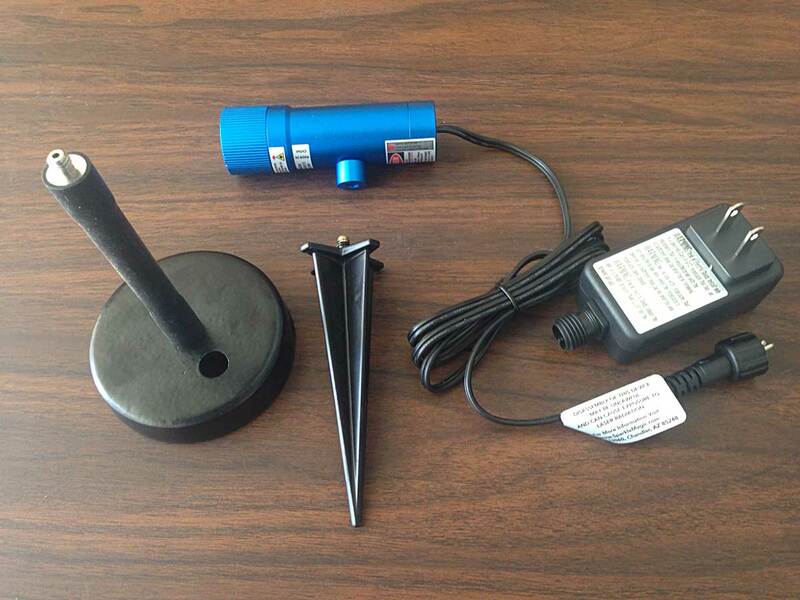 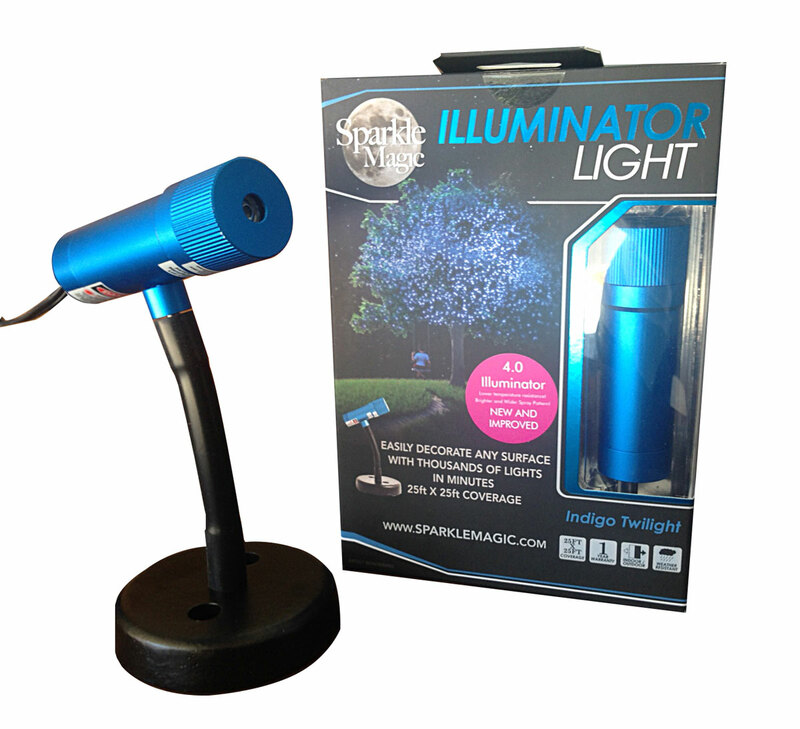 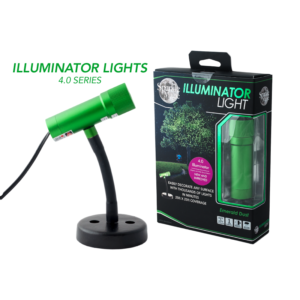 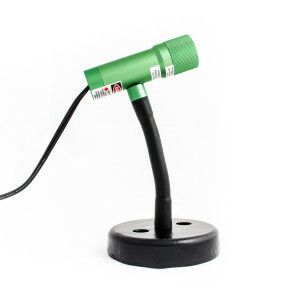 1 Blue Illuminator Light, Flexible Stem, 5” Ground Stake, Metal Base, Power Adapter. 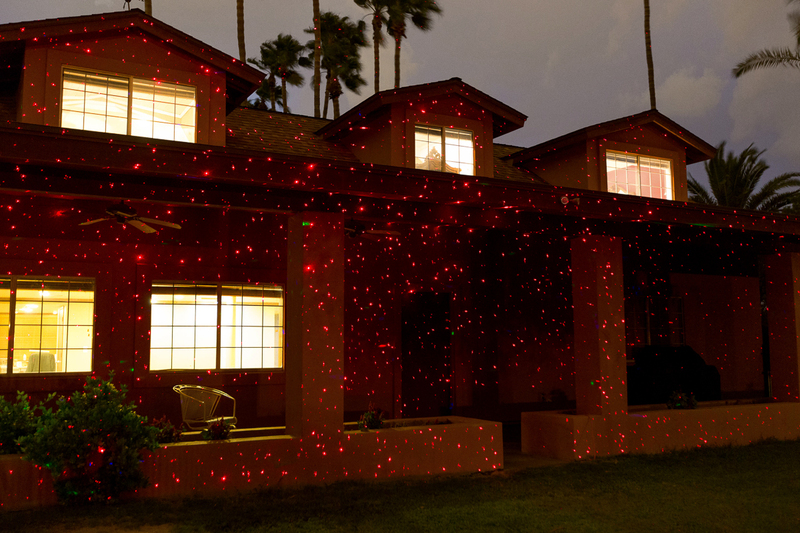 How to take down your holiday lights: Step 1: Place in box, Done!